New to the JBFC? Check out our newcomers guide. What is the Jacob Burns Film Center? The JBFC is a dynamic nonprofit cultural and education organization based in Pleasantville, NY. It’s one of the most successful suburban art houses in the country, with five screens and state-of-the-art technology. It’s a pioneering force in 21st-century education, developing and running classes for students of all ages. (Over 70% of the students who take advantage of our programs each year are from underserved schools and community organizations and participate absolutely free of charge.) It’s a resource for local and international mediamakers. And as Academy Award–winning filmmaker Jonathan Demme recently said, “It’s an agent for social change masquerading as a movie theater.” It all started when Pleasantville resident Steve Apkon had a vision of a cultural arts and education center inspired by the power of film. This led to the 1998 purchase of what the New York Times called “The Show Place of Westchester County,” the 1925 Rome Theater, one of the first movie theaters in the area. 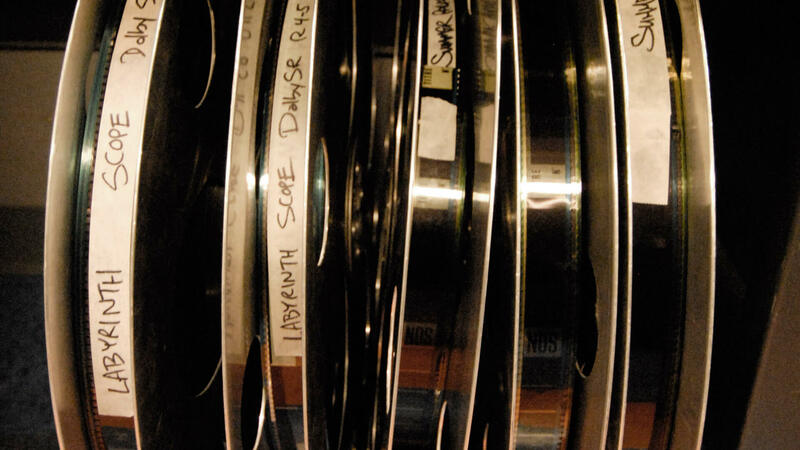 The doors opened in June 2001 as the Jacob Burns Film Center, and the rest is history. 364 Manville Road, Pleasantville, NY, just 30 miles north of Manhattan. Directions. The theater is open 7 days a week. The JBFC Theater box office opens one hour before the first screening and closes 15 minutes after the start of the last scheduled film. Check Showtimes The Info-line is 914.747.5555 and our Executive Offices are open Mon.-Fri., 9:30-5:30. How do I buy movie tickets? Regular screenings: $9 JBFC Members, $14 General public, $11 Senior-Nonmembers (62+, Mon.-Thurs. only. ), $7.50 Children (13 and under), $10 Students (14-22 with valid ID) . Prices vary for special events. Members get the member price every day of the week. Individual memberships get the member price on one ticket per screening and dual memberships get the member price on up to two tickets per screening! Check out our offerings and register online. There are seven municipal lots within four blocks of the JBFC Theater and the Media Arts Lab. Two metered lots are available throughout the day (check the signs for time limits): one on Manville Road behind Dunkin’ Donuts across from the Theater, and one on Bedford Road next to Holy Innocents Church. The other five lots are commuter-permit only until 3:00 pm. These are available after 3:00 pm during the week and all day on weekends. Metered street parking is also available throughout the village (meters do not require payment after 6 pm Monday-Saturday or all day Sunday). To view the Pleasantville parking map, click here. How do I find out about accessible seating? What assistive listening technology do you offer? 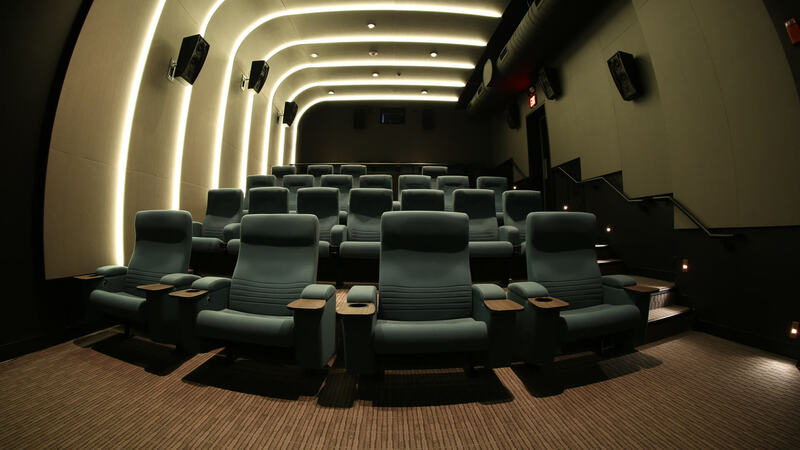 All theaters are equipped with a hearing loop system, which works with an individual’s own T-coil enabled hearing aid or cochlear implant to enhance audio during films and post-screening discussions. Moviegoers who do not use hearing instruments can also enjoy better sound with a loop receiver. This device is also equipped to function during both screenings and post-screening Q&As. Closed Captioning Glasses receive captions via infrared energy and project both film captions and descriptive text (if available) directly onto the lenses, allowing patrons to simultaneously watch the film and follow along with the dialogue. Closed captions are provided by the film studio, and are subject to availability. Not all film titles will have closed captions available. Our headphone receivers provide both HI (Hearing Impaired) and VI-N (Visually Impaired Narrative, otherwise known as “audio description”) audio. Two volume controls allow the user to mix HI and VI-N audio as needed. This device is equipped to function during both screenings and post-screening Q&As. Headphone receivers can be used in conjunction with the Closed Captioning Glasses, in the event that a film title has descriptive audio available, but not in conjunction with descriptive text. Will you make a donation for our fundraiser? The JBFC is pleased to support other local nonprofit organizations by donating a Dual Membership ($135 value) for their primary fundraising event. Organizations with a religious or political affiliation will not be considered, although some with an additional educational or health-related mission may qualify. We will contact you to confirm a donation and to arrange pickup. We cannot mail donations. Also please note that we are not able to accommodate all requests. What’s the Jacob Burns Film Center Curated DVD Collection? Back in 2009, we partnered with the Mount Pleasant Public Library to create this permanent collection of DVDs. This carefully selected group of high-quality films includes more than 600 titles and grows by almost 50 every year, based on the recommendations from JBFC film programmers. The collection includes new releases and old favorites, masterpieces of world cinema, and great selections for the whole family. Visit the library’s website to see the full list. The collection is housed at the main branch of the Mount Pleasant Public Library (350 Bedford Rd., Pleasantville) and is available to all Westchester Library System cardholders. The Mount Pleasant Public Library serves a community of 33,000 in the Town of Mount Pleasant and Village of Pleasantville, NY. The library’s lending collection includes books, audiobooks, DVDs, CDs, and periodicals. Services include storytimes for children, lectures and author series for adults, and PCs and wireless internet access for the public. Do you offer a group rate on tickets? Discounted tickets are available at a group rate for groups of 10 or more. The group rate is the member price of $9 for regular screenings, while special events have higher ticket pricing. Group sales must be booked in advance by calling 914.773.7663, ext. 6 during business hours (Monday–Friday, 9:30–5:30). A minimum of 10 tickets is required for a group sale, with some flexibility depending upon the event. Please note that that the group rate may not be available for all special events. How do I reset my password in your ticketing system? To access the Reset Password function on our website, click a showtime, click the LOGIN button, then select the RESET PASSWORD button. Enter your email address. A Reset Password email will be sent to you. Use the link in that email to proceed to the Reset Password page where you will type in a new password, confirm it and save it in the system. If you are a member, you must login first to access member-priced tickets. If you do not see the Reset Password email immediately, please check your spam folder. If you get an error when you type in your email address, we may not have that email address on record with your membership – please try another email or contact us to add that email to your record. The JBFC accepts MoviePass for all eligible screenings. Specialty screenings such as 3D format films, special events, and JBFC series screenings are not eligible for MoviePass in accordance with MoviePass terms and regulations. Please also note that the MoviePass app often fails to list all current show times for a given theater, so be sure to always check the JBFC website for the most up-to-date screening schedule. We are happy to help you! During office hours, please call 914.773.7663, ext. 6 (Mon.–Fri., 9:30–5:30), or email membership@burnsfilmcenter.org. After hours or on weekends, email support@burnsfilmcenter.org. How do I receive the member discount on tickets? Join to receive discounted tickets and other benefits. Then, all you have to do is show your membership card at the box office or use your online member account to purchase member-priced tickets. The Ticket Sales FAQ has more information. How many member-priced tickets may I buy per screening? It depends on the kind of screening and your membership level. Individual, Senior, and Youth members: One ticket. Dual, Dual Senior, Family, Film Buff, and Film Sponsor members: Two tickets. Film Enthusiast and Silver Screen Circle members: Four tickets. Dual, Dual Senior, Family, Film Buff, Film Sponsor, Film Enthusiast, and Director members: Two tickets. Producer and Executive Producer members: Four tickets. Members may buy additional tickets at the nonmember price in the same order, pending availability. Online: You can renew online. Please be sure to log in first before purchasing your renewal, so that your renewal is associated with your current membership. You can select the Join/Renew button of your preferred category, and then use the LOGIN button to log in with your email and password. At the Theater: Stop by the desk to fill out a renewal form. By mail: Starting three months before your expiration date, you will receive a monthly renewal notice by mail. Simply fill it out and mail it in. If you must purchase nonmember tickets online over the weekend before your renewal can be completed, please contact us at 914.773.7663, ext. 6 on the following Monday so that we may compensate you for the price difference or ask for an exchange at the theater. If I renew early, do I lose the time remaining on my membership? No. When you renew early, your membership extends from its current expiration date forward. We appreciate your early renewal as it saves us the cost of additional mailings and tells us that you continue to support us. What is the Reel Partners program? Reel Partners is our vendor discount program, which provides special savings for members at participating businesses. All you have to do is show your membership card! Members receive a mailing, listing participating businesses, early each year or shortly after joining. What benefits of membership do I receive at the Media Arts Lab? Registration fees for classes at the Media Arts Lab are waived for all members. Members at the Film Family level and above are also entitled to a 10% tuition discount. Learn about the Lab, and our many education offerings for students of all ages. How can I avoid being shut out of sold-out screenings? We recommend that you purchase tickets online in advance, particularly for weekend evenings and special events. You can also purchase tickets in advance at the box office for any scheduled screening. We cannot take ticket reservations by phone. Although one-time special events do sell out quickly, many screenings do not sell out until shortly before showtime. Members at the Film Buff level and above have early access to Priority Purchase events, which sell out quickly. Do you offer two-year memberships? Why should I take advantage of one? Yes. It’s a good deal for you, for us, and for the planet. If you join or renew for two years, we’ll give you two extra months free—that’s 26 months of benefits! We appreciate the extra show of support, and it enables us to skip a year’s worth of membership renewal mailings. Two-year memberships are available by phone, at the Theater, by mail, or online. Please call us at 914.773.7663, ext. 6 (Mon.–Fri., 9:30–5:30) or email support@burnsfilmcenter.org to request a replacement card. For online ticket purchasing, you simply need your email address and password. There is a $5 fee for a replacement card. How do I update my membership information (address, email, etc.)? Please contact us at membership@burnsfilmcenter.org or email support@burnsfilmcenter.org evenings and weekends. You may also update address, phone, password and interests info after logging into your account online. To access your member account, select a screening for ticket purchase, and after clicking the LOGIN button, select Account. To change your email address or add an additional email, please contact us at support@burnsfilmcenter.org. How do I receive special member announcements, invitations, and complimentary ticket offers? We send these out via email, separately from the weekly e-bulletin. To be sure we have your correct email information for all notices, please email us at membership@burnsfilmcenter.org to verify details. How do I learn about your most up-to-date schedule? New films and events are always being added to our schedule! Stay up do date by signing up for our e-bulletins at the top or bottom of our website. Our weekly e-bulletin goes out every Thursday with our weekly schedule, and special e-bulletins are sent out throughout the week with announcements of new films, events, and other exciting JBFC news. I have given you my current email address and still don’t receive your weekly e-bulletins or special announcements. What can I do? Check your spam folder or Promotions folder in Gmail. They’re probably in there. To be sure that your Internet service provider is not blocking messages from us, add these addresses to your address book, contacts, or safe list: membership@burnsfilmcenter.org (for member news, promotions, invitations, and renewal information), specialevents@burnsfilmcenter.org (for membership private event invitations and complimentary ticket offers), ebulletin@burnsfilmcenter.org (for weekly e-bulletins), and support@burnsfilmcenter.org (for ticket purchase confirmations). Members receive mailed invitations to Anniversary Screenings, which are scheduled every June in celebration of the JBFC’s anniversary. (We opened our doors on June 21, 2001. More history.) Members may attend one free Anniversary Screening with their invitation voucher. Members at the Film Buff level and above periodically receive opportunities to purchase tickets before they go on sale to other members and the general public. These events typically sell out during the Priority period, so it is best to purchase tickets as soon as the event is announced, online if possible. Join online or upgrade your current membership by contacting membership at 914.773.7663, ext 6. I’ve heard about a Preview Club – what is it and how can I join? The Preview Club is our very popular subscription series, in which subscribers see monthly sneak previews of new films and have the opportunity to discuss them with the host and other members. It’s available in two six-month seasons (Jan-Jun and July-Dec), with three-month or six-month options, and is initially offered as a Priority Purchase opportunity to members at the Film Buff level and higher as a special benefit. It typically sells out quickly. Learn more and upgrade before the next series goes on sale! Donor Screenings are free private events offered as a benefit to members at the Film Buff level and above. Invitations are sent by email throughout the year. Join online or upgrade your current membership by contacting membership at membership@burnsfilmcenter.org, or 914.773.7663, ext. 6 to begin receiving this benefit now. Upgrades are not available online. Filmmaker Events are selected events offered free to members at the Film Enthusiast level and above. Invitations are sent by email throughout the year. Join or upgrade by contacting membership at membership@burnsfilmcenter.org, or 914.773.7663, ext. 6 to begin receiving this benefit now. Upgrades are not available online. How do I opt out of your printed mailings? I prefer to receive information electronically. Please email us at membership@burnsfilmcenter.org and we’ll adjust your records. If you change your mind, you can always let us know. If you no longer wish to receive the JBFC E-bulletin, click UNSUBSCRIBE at the bottom of any e-bulletin. If you unsubscribe to the weekly JBFC E-bulletin, you will no longer receive announcements regarding the current schedule. If you no longer wish to receive emails regarding your membership, contact us at membership@burnsfilmcenter.org or 914.773.7663, ext. 6. If you discontinue membership emails, you may miss out on some benefits of membership including periodic complimentary ticket offers and special announcements. Tickets are available online and at the box office, which opens one hour before the first screening of the day. Regular screenings: $9 JBFC Members, $14 General public, $11 Senior-nonmembers (62+, Mon.-Thurs. only), $7.50 Children (13 and under), $10 Students (14-22 with valid ID) . Prices vary for special events. Members get the member price every day of the week. Individual memberships get the member price on one ticket per screening and dual memberships get the member price on up to two tickets per screening! To purchase member-priced tickets, select a date, film, and screening time. After you click the showtime, please log in using the LOGIN button. To log in, you need your email address and password. If you can’t remember your password, click the Reset Password button. An email will be sent to you with a link to reset your password. Nonmembers pay a fee of $1.50 per ticket. This service charge is waived for members at the Film Buff level and above. For ticketing support Mon.-Fri., 9:30-5:30, call 914.773.7663, ext. 6. Evenings and weekends, contact us at support@burnsfilmcenter.org. If you are a registered user, click the Reset Password button. Submit the email address that we have on file and an email with a link to reset your password will be sent to you. If you receive an error message saying that your email address could not be found, please try again with another email address. (We may have a different email on record). If you don’t see the email immediately, please check your spam folder. If you need to change the email on record for you, please contact us. Still having trouble? Contact Membership/Customer Service at membership@burnsfilmcenter.org or 914.773.7663, ext. 6 (Mon.–Fri., 9:30–5:30). After hours and on weekends, use support@burnsfilmcenter.org. How do I buy tickets online for another member? You’ll need to use the other member’s login information (email address and password) and purchase each member’s tickets in a separate transaction. If you’d prefer to make the purchase at the box office, you’ll just need to provide the member’s name. My membership has expired or lapsed and I’m in the process of renewing. Can I buy member-priced tickets anyway? Renew at the theater, by phone (914.773.7663, ext. 6, Mon.–Fri., 9:30–5:30), or online. You will not be able to purchase member-priced tickets online until you have completed your renewal. Please be sure to log in first so that your renewal is associated with your current membership. If you renew at the theater, you will be able to buy member-priced tickets right away at the box office. Please let us know if you’ve had to purchase tickets online at the nonmember price over the weekend before completing your renewal, or exchange those tickets at the theater if you renew there after ticket purchase. We offer Print-at-Home/E-Ticket for movie ticket redemption. Once you complete your purchase, you will receive an email order confirmation and a separate ticket email. You can simply show your ticket/s on your mobile device or print the ticket/s and show them to the usher at the entrance to your screening and skip the box office completely! You can also give the box office your order number and they will print your ticket/s if you prefer. Tickets are available online and at the box office, which opens one hour before the first screening of the day. Join now and receive ticket discounts and other benefits right away. Go to the date you want and select your desired showtime. Select the number and type of tickets you wish to purchase, and click NEXT. If you have previously registered, log in using the LOGIN button and then enter your email and password and follow the prompts to complete your purchase. If you have not yet registered, click the REGISTER button, fill in the required fields including your credit card information. You must create a password and enter it again to confirm it. Once your order is placed, an email confirmation is sent to the registered email address. With the Print at Home option, you can show your ticket/s on your mobile device for admittance to the theater. You may also print your tickets at home or pick them up at the box office. Please check your spam folder if you do not see your email confirmation. Members at the Film Buff level and above pay no ticket service charge. Members at other levels pay a $1 service charge per ticket for online purchases. Nonmembers pay a sliding scale of ticket fees based on ticket price: $1.25 per ticket up to $15, $3.00 per ticket up to $35.00, and $5.00 plus per ticket for higher prices tickets. Learn more, join us and save! Use the Reset Password option; access this by clicking on a showtime, then LOGIN, then RESET PASSWORD. Enter your email address and a Reset Password email will be sent to you. Please use the link in that email to reset your password. If you receive an error messagethat your email address could not be found, please try again with a different email, or contact us to add your new email to your account. Still having trouble? Contact Membership/Customer Service at membership@burnsfilmcenter.org or 914.773.7663, ext. 6, Mon.–Fri., 9:30–5:30. After hours and on weekends, use support@burnsfilmcenter.org. The box office opens one hour before the first screening and closes 15 minutes after the start of the last scheduled film, typically at noon Mon.–Thurs. and 11:00 Fri.–Sun. Please see the film calendar for scheduled showtimes. Regular screenings: $9 JBFC Members, $14 General public, $11 Senior-nonmembers (62+, Mon.-Thurs. ), $7.50 Children (13 and under), $10 Students (14-22 with valid ID). Prices vary for special events. Members get the member price every day of the week. Individual memberships get the member price on one ticket per screening and dual memberships get the member price on up to two tickets per screening! How early should I plan to arrive at the theater? Whether you are purchasing tickets or redeeming tickets that you purchased online, please plan to arrive at the theater at least 15 minutes prior to the scheduled showtime. Since seats are not reserved, you may want to arrive even earlier for the best selection. Discounted tickets are available at a group rate for groups of 10 or more. The group rate is the member ticket price. Group sales must be booked in advance by calling 914.773.7663, ext. 6 during business hours (Monday–Friday, 9:30–5:30). A minimum of 10 tickets is required for a group sale, with some flexibility depending upon the event. The contact for the group will receive a free popcorn and soda coupon when the group tickets are processed! We are here to help! Contact Membership/Customer Service at membership@burnsfilmcenter.org or 914.773.7663, ext. 6 (Mon.–Fri., 9:30–5:30). After hours and on weekends, use support@burnsfilmcenter.org. How do you choose the movies you show? We show a great mix of the best of independent, documentary, and world cinema. You’ll find a wide range of films on our five screens: new and old, famous and lesser known. Our experienced film programmers select every movie you’ll see in our Theater. We announce our schedule very early on Thursday mornings. Sign up for our e-bulletins for the latest. Another way to make sure you’re up-to-date is to check the calendar or call the Info-Line at 914.747.5555. Do the schedules ever change after they’re announced? Yes, they do. We frequently add events as they become available. For example, sometimes a fascinating speaker agrees to come for a Q&A at the last minute. And once in a while we’re forced to postpone or even cancel a screening due to weather or other circumstances beyond our control. Please check the website if you have any questions. The weather looks iffy. How do I know if you’re open? Check the website or call the Info-Line at 914.747.5555. I miss movies shot on real film. Have you gone all-digital? Absolutely not! Unlike many other cinemas, we have preserved and enhanced our ability to show movies in practically every format that exists, including 35mm and 3D—and yes, DCP. I know you have a blog. How do I subscribe? Sign up for the RSS feed at blog.burnsfilmcenter.org. The blog often provides an insider’s view of scheduled programs and behind-the-scenes looks at what’s going on at the JBFC. Click here to take a look at the JBFC blog. What about your social media feeds? Check us out on Facebook, Twitter, Instagram, and YouTube. Reel Talks are opportunities for moviegoers to enjoy informal, thought-provoking postscreening discussions facilitated by an outside guest or a JBFC staff member for the price of a regular screening. I just heard about a film that sounds great. Can I suggest that you show it? Sure! Let us know at programming@burnsfilmcenter.org. How can I get tickets to a sold-out event? Some events have stand-by lines. Stop by the Theater an hour before screentime and put your name on the waiting list. We make unused seats available on a first-come, first-served basis. How do I know which of your five theaters will be showing the film I’m coming to see? Check the big board at the box office—it’ll tell you where you need to go. Theaters 1, 2, and 3 are on the main floor, and Theater 4 and the Adam R. Rose and Peter R. McQuillan Theater are upstairs. Are all the theaters wheelchair accessible? Yes. The three original theaters are on the ground floor, and the two smaller theaters upstairs can be reached via the elevator. Is it better to buy tickets online or at the box office? Avoid being sold out by buying in advance, either online or at the box office. My neighbor gets to see a lot of previews. How do I get to see them, too? Join the JBFC Preview Club! Members at the Film Buff level and above are also invited to free Donor Screening film previews and Filmmaker Events as a special member benefit. Join or upgrade for this extra benefit of membership! Be sure to sign up for ebulletins to hear about exciting new films and events added to our calendar. Do you show special movies for seniors? Four times a year, the JBFC welcomes members of retirement communities and senior citizen centers for an afternoon at the movies. Filmgoers are offered a choice of two movies and enjoy a light snack after the screening. The program often features special guests. For more information, contact Abby Popper at apopper@burnsfilmcenter.org or 914.773.7663, ext. 424. Do you show movies for families? What kind of snacks do you sell? For starters: the best movie popcorn around, bar none. We’ve also got an array of healthy snacks and sweets, from locally baked cookies to free-trade chocolate to your favorite guilty pleasure. And coffee, tea, and soda, of course. How can the students at my school or organization participate in your classes? The JBFC offers exceptional programs for area school and community organizations. Through film screenings just for students, residencies, educator professional development, and Common Core-aligned curricula, students and teachers learn to view, analyze, and create media with JBFC’s stellar faculty of media makers, storytellers, and educators. Visit our Schools & Teachers page to learn more and explore available programs. What if we can’t afford to send our students? We waive the participation fee and reimburse all transportation costs for schools in which a minimum of 35% of students qualify for a free or reduced lunch through the National School Lunch Program (according to the New York State Department of Education). We encourage all schools, regardless of financial circumstances, to participate in our programs and we will do our best to meet your needs. Over 70% of the students who take advantage of our programs each year are from under-resourced schools and community organizations and participate absolutely free of charge. For details, click here. Can you help me figure out how to integrate media into my classroom? Absolutely! Through our Image, Sound, and Story professional development program, teachers learn how to introduce the viewing and creating of media into their classroom culture and literacy instruction. Visit our Professional development page for more information. Financial aid is available for educators whose school districts or grants may not cover the full cost of the professional development program. I teach out of state, how can I bring your programs to my school? We’re working on it! Our programs are not currently available to schools and organizations outside our region. However, we encourage you to check out our View Now Do Nows and our Visual Glossary, both of which are free resources available on our website, designed for use in the classroom. How do I learn about your courses for kids, teens, and adults? The Jacob Burns Film Center offers innovative programs in new media, documentary and fiction film production, screenwriting, animation, and much more for students from pre-K through adulthood. All our courses and workshops are listed on the Courses @ The Lab site, where you can learn about each one, see sample work, and register. Visit our Courses @ The Lab site, select the course you are interested in, and click the button that says REGISTER to the left of the course info. Please note that you will be required to log into the JBFC website to complete your registration. Yes! Spaces are reserved in every course for students who demonstrate financial need. Email registrar@burnsfilmcenter.org for more information or visit our Scholarship Information Page.